On health care: An ad from the Democratic Senatorial Campaign Committee claims that Republican Rep. Martha McSally “voted to essentially end Medicare,” a reference to a GOP budget resolution calling for significant changes — not an end — to Medicare. We have been writing about this claim since 2011. On taxes: Several ads in House races claim the Republican tax law, passed in late 2017, gives 83 percent of the benefits to the top 1 percent. That’s only the case for 2027, because most of the individual income tax changes in the law expire by then. Republicans say a future Congress will extend the tax cuts. In 2025, a quarter of the tax cuts go to the top 1 percent. This ad from the Democratic Senatorial Campaign Committee dredges up an old claim we haven’t heard much in recent years — saying Republican Rep. Martha McSally of Arizona “voted to essentially end Medicare.” That’s a reference to a budget plan, first proposed by Rep. Paul Ryan, that calls for changing Medicare — not ending it — to a system in which seniors would use premium-support payments to select their own plan from a Medicare exchange. 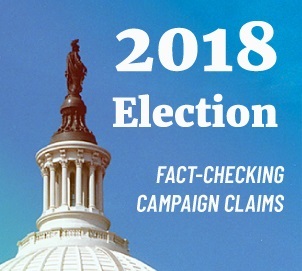 Longtime readers of FactCheck.org surely remember this claim from 2011, 2012, the 2014 midterms and more. So it wouldn’t terminate the Medicare program, as the ad says. Instead, it would change how the program operates. Ryan’s plan got the most attention in 2011, when he first introduced it, and in 2012, when Ryan was Mitt Romney’s presidential running mate. It has continued to be a part of GOP budget proposals, even though it has not moved forward in legislation to actually implement it. A budget resolution doesn’t actually implement policy — it’s not binding law, but rather a blueprint of the budget and priorities. The Ryan plan, as we’ve written before, would be a fundamental change for Medicare. It would affect those under age 55, who, once eligible for Medicare, would be given a choice of private plans or traditional Medicare and federal subsidies to help pay for them. It would be similar to Medicare Advantage meets the Affordable Care Act’s insurance exchanges. There are both critics and supporters of this type of plan, and whether it would be beneficial or more/less expensive for seniors is a matter of debate. The DSCC emphasizes that it’s a “voucher” program, while Ryan prefers “premium-support” plan. But whatever you call it, it wouldn’t “end” the federal health care program for seniors. Many Democrats have assailed their opponents’ positions on preexisting conditions, pointing to votes to repeal the Affordable Care Act, votes for Republican health care plans and support for a lawsuit in Texas seeking to invalidate the Affordable Care Act. The DSCC ad, too, adds that McSally voted to “gut protections for preexisting conditions,” citing her votes for the House-passed American Health Care Act and a 2015 vote to repeal the Affordable Care Act. The ACA instituted broad protections for those with preexisting conditions — prohibiting insurers from denying policies, excluding coverage or pricing plans based on health status. That primarily affected the individual market, where such practices were common, and where people without employer-sponsored plans or public coverage, such as Medicare and Medicaid, buy their own coverage. It’s true that repealing the ACA would repeal those protections, and the GOP repeal-and-replace plans considered by Congress in 2017 would have weakened those protections. The House’s American Health Care Act would allow insurers to price plans based on health status in some cases where there was a gap in coverage, and allow states to change or eliminate ACA requirements for insurers to cover certain benefits (see “The Preexisting Conditions Debate” for the details on the bill). Other Democratic ads – such as this one from Missouri Sen. Claire McCaskill – have referred to the Texas lawsuit, brought by Republican officials in 20 states and supported by the Trump administration. The Department of Justice said if the lawsuit were successful, the entire ACA wouldn’t need to be scrapped; however, it said the provisions prohibiting insurance companies from denying coverage or charging more based on health status would have to be eliminated. Some TV ads make claims about the Republican votes in sweeping terms. For instance, an ad from a newly formed group called Texas Forever says when it comes to Sen. Ted Cruz “if you’ve got a preexisting condition, you’re on your own.” But as we’ve explained, the ACA’s provisions primarily affected the individual market, as there were some protections already for employer-sponsored plans. In the last week, several ads across the country have used a misleading Democratic talking point to frame the GOP tax law as overwhelmingly benefiting the richest Americans. Versions of this ad, from a group called Hotel Workers for Stronger Communities, are airing in New York’s 19th, 22nd and 24th Congressional Districts. They claim in text on screen: “83 percent of tax cuts go to richest 1 percent,” citing the Tax Policy Center. As we’ve written before, it’s a case of a technically accurate statistic being used without context. 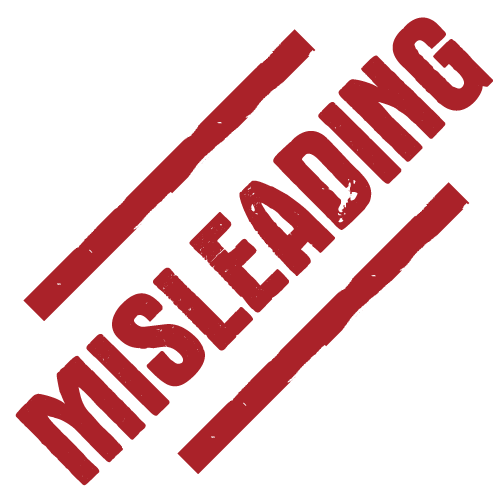 Ads airing in House races in Arizona and California, as well as the Wisconsin Senate race also have used this claim. After most individual income tax provisions expire, the tax benefit distribution is more lopsided for the top 1 percent than in earlier years. For instance, in 2018, according to the same TPC analysis, the top 1 percent of income earners would get 20.5 percent of the tax cut benefits. In 2025, that percentage would be 25.3 percent. Those may be sizable percentages, but they’re nowhere near the 83 percent figure used in the ads. Under the law, the top 1 percent still benefits by 2027 from some remaining tax provisions, such as the reduction in the top corporate tax rate. Republicans say a future Congress will extend these expiring income tax cuts. They wrote an expiration date in the bill so that they could pass it through budget reconciliation with only a majority vote in the Senate. Under reconciliation, the bill could not add more than $1.5 trillion to the deficit over 10 years or add to the deficit beyond a 10-year period. We can’t say what might happen to the sunsetting tax provisions in the future. But it’s misleading for Democrats to cherry-pick this statistic, giving a distorted view of the total impact of the tax law. Republican Rep. Martha McSally of Arizona "voted to essentially end Medicare." "83 percent of tax cuts go to richest 1 percent."